Fire Alarm Inspections - Fire Alarm Inspectors Vancouver - Annual Inspection Services Surrey | ComFire Ltd.
Vancouver Fire Alarm Inspection: It pays to have the skilled professionals of Community Fire Prevention on your side to maintain your fire alarm and life safety systems. Early detection of a fire can be the difference between minor damage and a major catastrophe. Let the trained and knowledgeable Fire Inspectors at Community Fire Prevention in Greater Vancouver help you meet all requirements of both your local Authority Having Jurisdiction (AHJ) as well as outside insurance agencies. A minimum or one initiating field device or manual pull station shall be operated on a rotational basis and the confirmation of both an alert signal and alarm signal confirmed or as otherwise outlined in the building Fire Safety Plan. The primary annunciator should also be inspected to confirm the tested device annunciates correctly. Operation of the common audible and visual shall be tested on a monthly basis. Buildings which also have voice communications systems are also required by CAN/ULC-S536 to confirm two way communications of emergency handsets and proper voice paging on a rotational monthly basis. Stay compliant. As outlined in CAN/ULC S536 fire alarm systems are required to be maintained and tested on both an annual and monthly basis. Keep your fire alarm system in peak operation. Community Fire Alarm technicians stay current with manufacturer requirements and the current BC Fire Code and Vancouver Fire Bylaw regulations. If you require Fire Inspectors, ASTTBC Certified Fire Alarm Inspection, Fire Alarm Installation, Repairs or Replacement, or Fire Alarm Batteries in the Vancouver Area, we encourage you to give us a call today! Visit our fire protection store in Port Coquitlam, BC, or give us a call at 604-944-9242, to learn more about our fire planning services and how we can help you! Q: How often do we need access to in-suite residential fire devices? A: CAN/ULC-S536 states that “All Field Devices shall be tested on a yearly basis” except those that cannot be reasonably accessible for safety conditions. The examples given are continuous process operations, energized electrical equipment, radiation and height. Many AHJ’s in the lower mainland are moving towards a zero tolerance for missed suites during Annual Fire Inspections. Q: When is the correct time to refer to the BC Building Code or BC Fire Code? A: The BC Building Code is referred to and referenced during the installation or renovation process involving any Fire Protection Equipment. The BC Fire Code refers to all ongoing required maintenance schedules once installed. Q: What is Smoke Detector Sensitivity Testing? A: CAN/ULC-S536 states that each smoke detector shall be tested annually to confirm that it is within the manufacturer’s rated operating range. These readings are to recorded on the device sheet comments of each field device sheet. 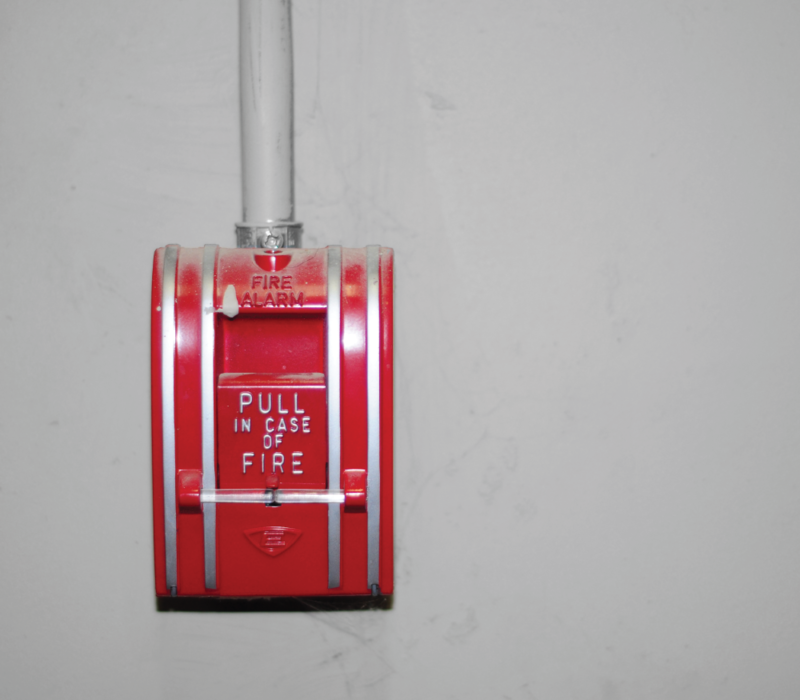 Community Fire Prevention utilizes the TruTest Detector Sensitivity Tester when needed.